Spiral Cellar is made in two basic models: Original and White. As the name implies, the Original Spiral Cellar is the original edition of Spiral Cellar, developed in France decades ago. It is cast in grey concrete which gives an authentic and rustique look. As an alternative, we also offer a White Spiral Cellar which has deeper bins, more accessory options and a more refined finish. Unless you choose from our other options, a Spiral Cellar will be installed with our standard timber trap door. You can see an example of the default door by selecting Timber below. However, there are many alternatives to the timber trap door. You can have your trap door concealed to fit the surroundings or choose our personal favourite; a glass trap door allowing you and your guests to admire your wine collection from above. 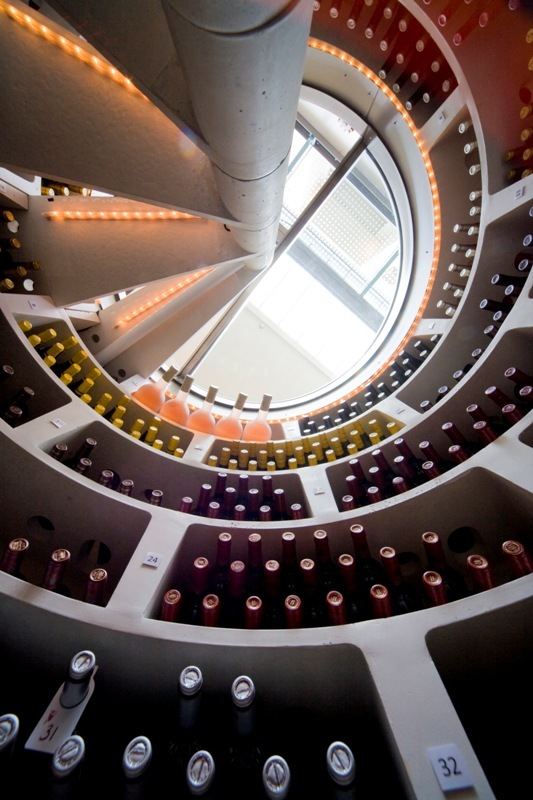 A Spiral Cellar provides darkness for your wine to mature perfectly. However, being able to light up your cellar is a necessity in order to navigate amongst all your greatest bottles. If you opt for a lighting package from us when ordering your cellar, all cables for lighting will be hidden inside the column of the cellar keeping the finished look clean and elegant. Step treads is an optional extra for the White Spiral Cellar. We have handpicked luxurious step treads for your cellar and will fit the same when performing the final finish on your cellar. Should you decide on ordering treads at a later stage, we will have them shipped directly to your address, prepared for your own easy fitting.